San Francisco’s fascinating history, diverse culture, and natural splendor make it a popular destination for travelers from all over the world. With so much to do and see, it can be difficult to make a travel plan that covers everything. Here are 5 San Francisco attractions you should add to your next group travel itinerary. In 1938, the San Francisco Downtown Association created the 49-Mile Scenic drive. This leisurely loop leads travelers through some of the most interesting parts of the city. Starting at City Hall, the route lets visitors drive through the Dragon Gate in Chinatown, see Coit Tower and Lombard Street, and view the majesty of the Golden Gate Bridge from multiple angles. This drive takes you past most of the city’s tourist destinations. For short trips, it’s a great way to get a glimpse of what the city has to offer. To enjoy your drive even more, charter a bus for the trip. Upgrade your coach to one with an installed bar for even more fun. Touted as the city’s most famous landmark, the Ferry Building Marketplace has stood in the same spot since 1898. Once used as a hub for traders bringing goods by boat or train, the Ferry Building now holds a variety of attractions and shopping opportunities for visitors. Load up on souvenirs while you enjoy some the best dining the city has to offer. The Ferry Building also houses a major transfer point for all major public transportation systems that connect San Francisco to the rest of the Bay Area. Use it as a starting point for exploring surrounding cities and neighborhoods. For even more San Francisco Attractions, the Mission District is San Francisco’s oldest neighborhood. It began in 1776 as the Mission San Francisco de Asiss. Even as the neighborhood shifts and changes with the times, it still retains a great deal of authentic flavor. Walk the streets and sample the foods, street art, and music that comes from nearly 250 years of continuous history. San Francisco served as the backdrop to the political, social, and cultural upheavals of the 1960s. Relive the era of Janis Joplin, the Grateful Dead, and other influential figures in the hippy culture. Take a Flower Power Walking Tour to learn more about this area’s connection to the social revolutions that still affect our lives today. Take some time to appreciate the natural beauty that surrounds the city of San Francisco. Stow Lake sits in Golden Gate Park and is the largest body of water found in the reserve. Rent a boat to explore the tree-lined waterways, take a ride on a horse-drawn carriage, or just have lunch near the lake while you spot exotic birds and turtles. 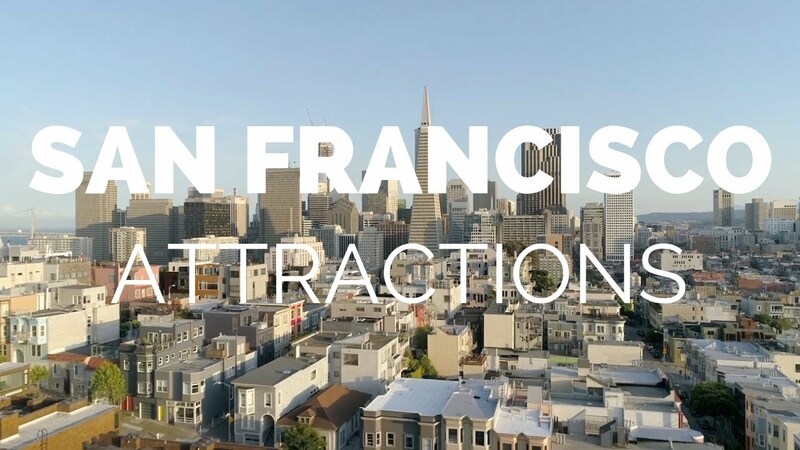 Make some space in your schedule to experience these amazing San Francisco Attractions and sights on your next group trip.